On 6th May, 2014, Chinese E-commerce heavyweight Alibaba filed registration document to go to public in the US in what maybe the mother of all Initial Public Offerings in the US history. Alibaba is a fairly unknown entity in the US and other regions, though its massive size is comparable or even bigger than Amazon or eBay. Reading through Alibaba’s S-1 Filing was very interesting, educating and makes me realize how big their business is and how complex is the Chinese Internet Web. In this article, I address everything that you need to know about Alibaba IPO. What is Alibaba’s Business Model? Why this name – Alibaba? How does it compare to big-name Internet companies? Why Alibaba IPO is so important? Will this become the biggest IPO in US history? Why going public in US, not in China or HK? Alibaba’s 5 mind -boggling numbers from the F-1 Registration document? 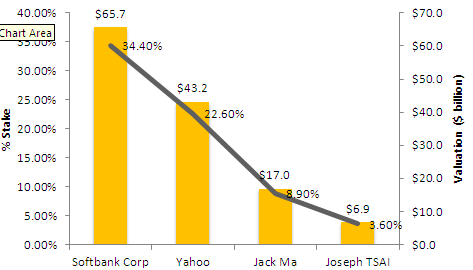 Alibaba IPO – $ 191 billion valuation? #1 – What is Alibaba? 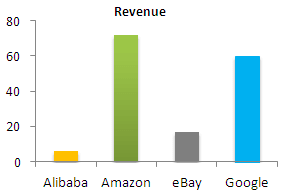 Alibaba is the most profitable Chinese e-commerce company. Alibaba handled transactions worth more than $248 billion last year, more than Amazon and eBay combined. Alibaba has 231 million active buyers and 8 million active sellers. Alibaba founded in 1998-99 by an English Teacher Jack Ma, is headquartered in Hangzhou, China. Alibaba mainly consists of two big shopping websites: 1) Taobao, a consumer-to-consumer marketplace launched to compete with eBay in China, and 2) Taobao Mall (or Tmall), an Amazon-like market that allows Chinese consumers to purchase directly from brands. Along with Juhuasuan, a Groupon-like group-buying marketplace, those sites make up more than 80 percent of Alibaba’s revenue. With China’s online shopping market size estimated to multiply 2.5 times to $713 billion by 2017 (source: iResearch), Alibaba’s size can only grow from here. #2 – What is Alibaba’s Business Model? In order to understand Alibaba’s Business Model, we can have a look at the below chart that depicts the network of entities that Alibaba operates. Also, you will note how the buying and selling of goods is done through Alibaba’s network for Business to Business (B2B) or Business to Customers (B2C) models. # 3 – Why this name – Alibaba? One day I was in San Francisco in a coffee shop, and I was thinking Alibaba is a good name. And then a waitress came, and I said do you know about Alibaba? And she said yes. I said what do you know about Alibaba, and she said ‘Open Sesame.’ And I said yes, this is the name! Then I went onto the street and found 30 people and asked them, ‘Do you know Alilbaba’? People from India, people from Germany, people from Tokyo and China… They all knew about Alibaba. Alibaba — open sesame. Alibaba — 40 thieves. Alibaba is not a thief. Alibaba is a kind, smart business person, and he helped the village. So…easy to spell, and global know. Alibaba opens sesame for small- to medium-sized companies. We also registered the name AliMama, in case someone wants to marry us! #4 – How does Alibaba compare to big-name Internet companies? Finding a true business comparable to Alibaba is impossible! Alibaba is a mix of marketplace, search engine, bank, software company, mobile services company, elearning, microblogging, video streaming and much more. 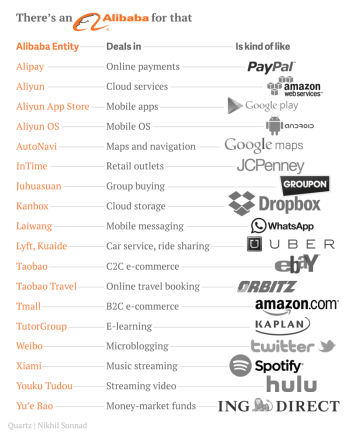 Below is an interesting chart that compares Alibaba’s portfolio with its respective known comparable. 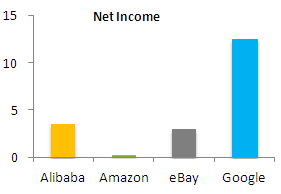 Let us now compare some of the key financials of Alibaba with the biggies like Amazon,eBay and Google. 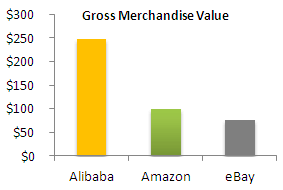 Alibaba’s Gross Merchandise Value of $248 billion dollars is more than Amazon and eBay combined. Alibaba Revenue is lower than that of Amazon and eBay. The primary reason is the business model, Alibaba makes money by charging merchants for advertisement on their website and transaction fees. While Alibaba’s revenue is less that Amazon and eBay, however, Alibaba is highly profitable company as compared to Amazon or eBay. 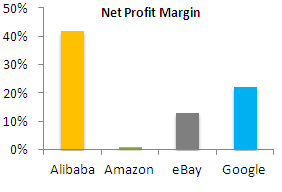 Alibaba’s net profit margin at 40% is way higher than that of eBay, Amazon or Google. #5 – Why Alibaba IPO is so important? Alibaba has closely guarded its ambitions for the United States and executives have privately played down suggestions it would take Amazon head-on. But there’s little question that investments in the United States are a high priority, people familiar with the company say. #6 – Will this become the biggest IPO in US history? The exact size of Alibaba IPO has been closely guarded. The company has used a $1 billion placeholder for its registration documentation with the SEC. Many expect that the size of Alibaba IPO could be between $15 billion – $20 billion. 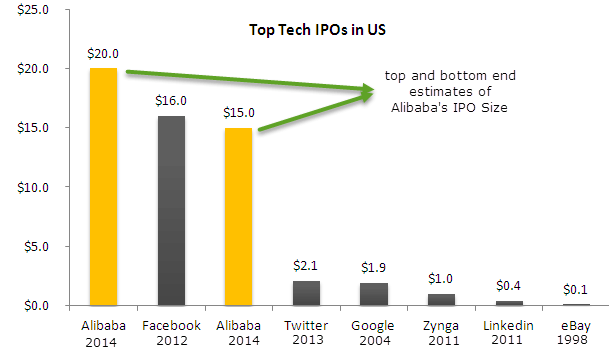 Below chart shows a quick comparison of Alibaba with the Tech IPOs in US. #7 – Why going public in US, not in China or HK? Alibaba initially approached the Hong Kong Exchange for listing, however, they had to abandon their plans of listing in HK due to is share structure. A key governance principle of Hong Kong’s listing rules is a restriction on dual-class share structures or other schemes that allow controlling shareholders or managers to possess disproportionate voting power. Alibaba wanted to list in Hong Kong, however, Hong Kong Exchanges and Clearing or the Securities and Futures Commission (SFC) rejected Alibaba’s demand that its partners be able to nominate a majority of the company’s board. 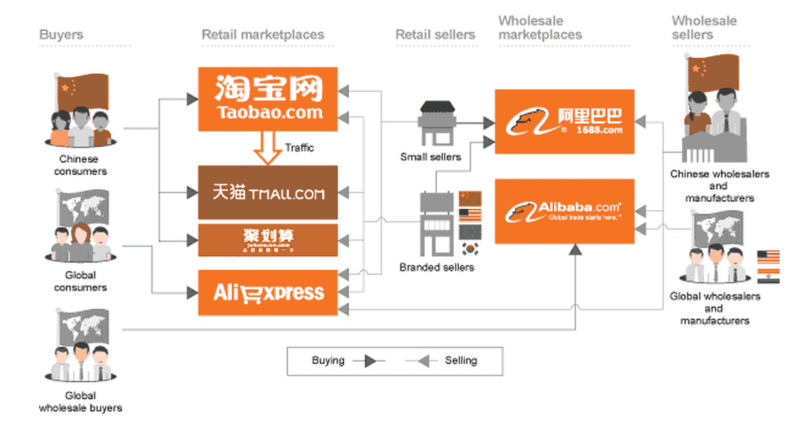 Alibaba argued for an exception for its structure citing its unique business model. Hong Kong Exchange could have granted this exception as the rule book does have a provision, however, they decided against it. The main reason was that there are many Chinese state owned enterprises listed in Hong Kong Exchange and if it bends a rule for Alibaba, then it’s going to have to bend rule for all of these state owned Chinese enterprises. Alibaba then decided to list the company in US as such dual structures are not prohibited in US exchanges. #8 – Who are the Investors in Alibaba? From Alibaba’s registration document, it is learnt that SoftBank corp is the biggest investor in Alibaba with its initial investment of $20 million in 2000. SoftBank is the biggest gainer from their investments in Alibaba. $5.8 billion – Alibaba processed $5.8 billion USD in transactions and 254 million orders on Singles Day 2013 (China’s equivalent of Cyber Monday). $248 billion – This is the Alibaba’s total Gross Merchandise Value (GMV) on China’s retail marketplaces, more than Amazon and eBay combined. 5 Billion Packages – Alibaba’s logistics network delivered approximately five billion packages generated from Alibaba-owned marketplaces in 2013. 31 million orders per day! – Alibaba sees an average of 11.3 billion orders annually with 231 million active buyers. This is approximately 31 million orders per day and 49 average annual orders per active customer. After struggling for more than 3 days to prepare Alibaba’s Financial model, I was able to get a basic model ready (with the limited information provided in the S-1 Filing). I wish there was more information about revenue segments and costs details, yet this model serves as good head’s up for understanding Alibaba Group and Alibaba IPO Valuation. I have only adjusted the Cash and Cash Equivalents and Shareholder’s equity to reflect the estimated numbers. Other BS items are kept as reported in December quarter. The currency used in the model is RMB (China’s local currency). One can use the currency conversion to derive an appropriate valuation figures. F-1 filing has used 1 US$ = RMB 6.2164. 1) Revenues to grow at a CAGR of approx 26% in the next 5 years and touch US$29 billion by March’2019. 2) China Commerce will remain the largest contributor to the Revenues. 3) Net Income close to US$1.2 billion by the end of March’2019. 4) Cash and Cash Equivalents will balloon to $50 billion in the next 5 years. How will they deploy this much of cash is an important thing to watch out for. 5) The company has remained EBITDA positive and will generate $1.75 billion EBITDA by March’19. #11 – Alibaba IPO – To Buy or NOT to Buy? So, how do we value Alibaba IPO? Alibaba is cash flow positive and is a profitable company. 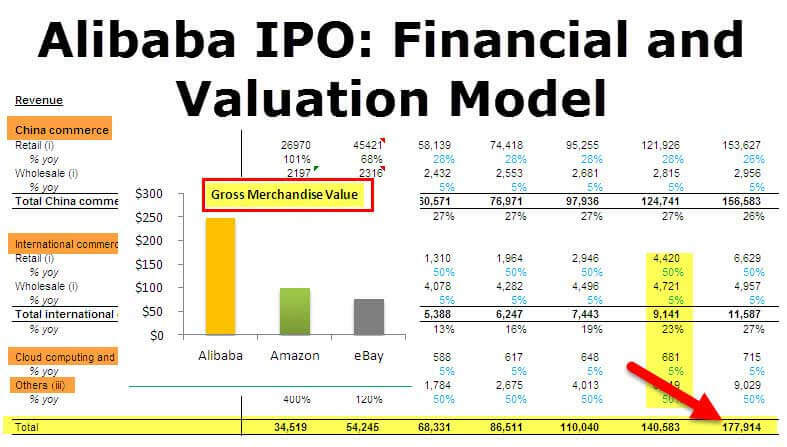 The most suitable approach that can be used to value Alibaba is the Discounted Cash Flow valuation approach. I am specifically avoiding the comparable valuations (relative valuations of Alibaba) due to the fact that it is nearly impossible to pin down a set of companies that are true comparable to Alibaba. Discounted Cash Flow (DCF) approach requires forecasting and modeling future financials. Alibaba will generate $1.2 billion of free cash flows in March’19. As we note below that Alibaba will generate a predictable positive Free Cash Flows. 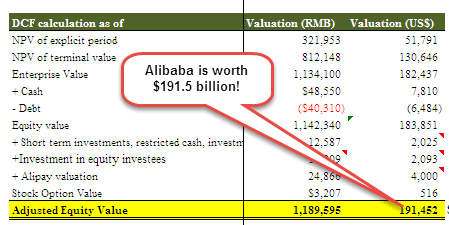 Below is the table that summarizes Alibaba’s DCF Valuation output. 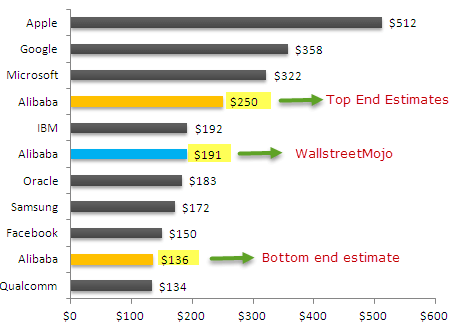 Investments in Equity Investees are also valued at Cost (balance sheet amount). Though the two companies Weibo and AutoNavi are publicly traded, i have yet taken them at Cost and NOT at their trading prices. 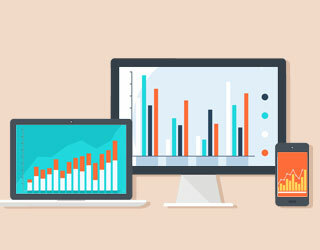 Upon the occurrence of certain liquidity events with respect to Alipay (which includes, subject to certain conditions, an initial public offering of Alipay, a transfer of 37.5% or more of the equity interests of Alipay or a sale of all or substantially all of the assets of Alipay), Small and Micro Financial Services Company will pay to us an amount equal to 37.5% of the equity value of Alipay achieved in such liquidity event, with a minimum payment of US$2.0 billion and a maximum payment of US$6.0 billion, subject to certain increases and additional payments if no liquidity event has occurred by the sixth anniversary of the date of the original agreement, or the liquidity event payment. If you are using different assumptions, you may use the above table for your set of valuation guidance. 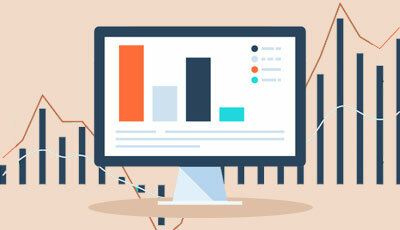 Learn more on how to perform Sensitivity Analysis in Excel. Box IPO Valuation – To Buy or NOT to Buy? p.s. – I do not represent any brokerage firm. The above views are my assessment of Alibaba IPO. I have tried my best to ensure factual accuracy of the analysis, however, please feel free to provide me with corrective measures if you spot any errors. Alibaba already got listed last year. Its a great job done by you. Appreciate the time and effort you have put into. I was also trying to build a financial model from the ground up. Its a guiding material for an amateur like me. The financial report that you have presented here speaks a lot and gives worthy piece of information. Hats off. Thank you so much for sharing the article and your analysis, its been an honor to read your work. I’ve been doing exactly the same thing you’ve done, constructing an IPO valuation for Alibaba after their filing for SEC went public. 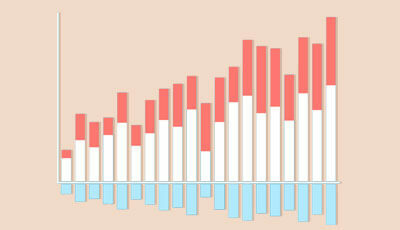 Its amazing how detailed and clear your valuation model as well as your illustration in the beginning. Really appreciate your kindness to share these analysis for free, as an IBD intern at Morgan Stanley Taipei I understand the time and effort been putting into these works. Just for the record, I’m doing the valuation myself for personal interest only. Hi dheeraj, your write up and analysis is 10/10…great..very informative..i m not very fond for the dotcon world but still find your analysis worth reading!